Hardwood Floor Cleaning Tricks Every New Yorker Must Know! 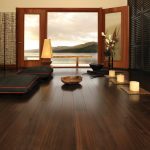 Bamboo Flooring: What You Should Know! Preparing Your Home for Hardwood Floors! Due to their natural beauty, durability, and convenience in terms of cleaning, many people are drawn to homes or buildings that have hardwood floors. Although hardwood floors can add substantial value to your property, in order to maintain their worth they need to be protected from scratches and dents that furniture like office chairs can cause. 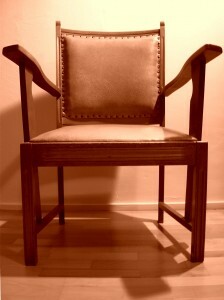 Thankfully, you can protect your hardwood flooring from office chairs by doing several things. One option includes laying down an area rug, a piece of cardboard, or a floor mat under the chairs. Another solution is to replace the chair’s wheels with hardwood floor casters. Explore hardwood floor options for your home NOW, by going here! 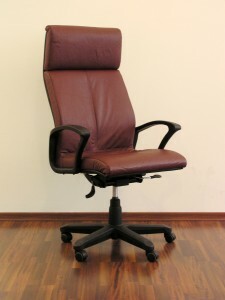 Although there are various kinds of office chairs, which may come in different sizes, generally speaking they are chairs that are utilized in front of a desk. Accordingly, the chairs are designed to suit the working conditions and needs of an office environment, which may require prolonged periods of sitting and the ability to move around while remaining in your chair. As a result, office chairs are usually well padded and adjustable to make them as comfortable as possible, capable of swiveling 360 degrees, and equipped with wheels. 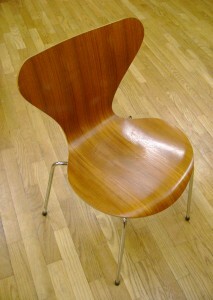 It’s the chair’s wheels in particular, however, which can pose a risk to your hardwood floors. There are two basic categories of hardwood flooring that will need protection from your office chairs: engineered and solid wood flooring. As the name denotes, engineered wood floors are manufactured by placing together several different layers of wood. The layers may vary in terms of what kind of wood is utilized, but typically, a harder, more durable kind of wood is inserted on the top. 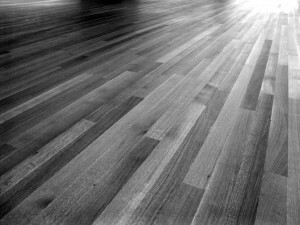 Solid wood flooring, on the other hand, consists of just one species of wood from top to bottom, which may vary in thickness depending on the product. 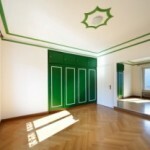 The wood that is utilized for the flooring is either categorized as domestic or exotic. Domestic woods, like maple or oak, are typically produced within North America and are more readily available. Exotic woods, on the other hand, are comprised of foreign or less-common trees like Brazilian Cherry or Santos Mahogany, and as a result are more expensive to purchase. Due to the fact that both engineered flooring and solid wood flooring are visually appealing and can last for decades, they are generally more costly to purchase and install than other types of flooring. The value of the flooring depends on what kind of species the solid wood hard floors are, or what kind of engineered wood is used. However, the latter is generally easier to install. The National Wood Flooring Association provides extensive resources and information about the various types of hardwood flooring. Before you take steps to protect your hardwood floors from office chairs, it might be wise to assess what kind of floors you have, so that you have a better sense of how durable they are and how difficult the repairs will be if they’re damaged. Generally speaking, because engineered floors are manufactured to resist environmental conditions like heat or moisture, which can warp or damage solid hardwood flooring, they’re considered to be a more durable and stable option. That said, because engineered flooring consists of several layers, it can only be sanded and refinished a couple of times to repair scratches or dents. Although solid hardwood flooring might be more prone to heat and moisture, because of its thickness it can be repaired through sanding and refinishing several times. The hardness and durability of the wood depends on the nature and grain. According to the USDA’s Janka Hardness test, which evaluates the resiliency of a wood, some of the hardest species of woods include Brazilian Walnut, Brazilian Teak, Brazilian Redwood, and Ebony. In terms of domestic species, Hard and Sugar Maple has been found to be harder than White Oak. If your hardwood floors are comprised of a more durable and hard wood, then you may not have to take as many precautions to protect them from your office chair than you would with a softer wood that’s more prone to damages. That said, the more scratches and dents any hardwood floor receives, the more work and money it will take to repair it. One of the more convenient and visually appealing ways to protect your hardwood floors from the wheels of an office chair is by placing an area or throw rug underneath the chair. If the rug is not overly coarse, a chair should still be able to roll over top of it, and this way, its wheels will not be in contact with the hardwood floor directly. Many area rugs can be quite large in size, so you could still be free to move around in your chair if required. 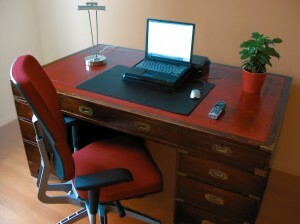 In addition, an area rug can also protect your floor from a table, desk, or other object that might scratch or dent it. Some area rugs are relatively inexpensive; however, depending on the size and quality, they could cost hundreds of dollars or more. If you purchase a rug for your home or office space, remember to clean the area where you’re going to lay it down beforehand, so that no pebbles or small objects get trapped underneath that might scratch the floor. If the rug is somewhat coarse or rough, you may also want to consider putting a non-slip pad underneath, which will help protect your hardwood floors and will keep the rug from moving. The Home and Garden Television website is just one of many online resources that provide information about different kinds of area rugs. If you prefer to see as much of your hardwood floors as possible, then purchasing a floor or chair mat to go underneath your office chair may be a more suitable way to go. In addition, most floor mats are a cheaper alternative to area rugs, because they are much smaller and are relatively easier to manufacture. Floor mats are often made of bamboo, vinyl or PVC, carpet, or even glass. In addition, some floor mats are manufactured to be transparent, so that people can still the hardwood floor underneath. 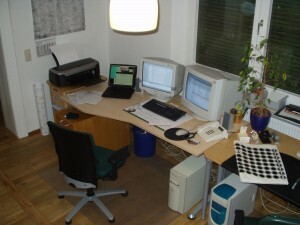 While mats may be a cheaper route to go, and are much easier to clean, than area rugs, due to their limited size an office chair may be restricted to staying at the front of the desk. If you’re considering purchasing a floor mat, you may want to refer to an organization like the Environmental Protection Agency beforehand, which provides information about the environmental impacts that are associated with the production and use of vinyl and PVC products. It may not be the best-looking or longest-lasting option, but if you’re on a tight budget or just using an office chair on your hardwood floors temporarily, you might want to consider using cardboard between them. Whether you find an old box or two that aren’t being used, or decide to purchase new cardboard, it should provide some protection for your hardwood floors from the chair’s wheels. Of course, depending on the thickness and quality of the cardboard, you may have to replace it often to ensure that your floors are protected. In addition, depending on its condition, the cardboard may not be an ideal surface for moving around in your office chair. Due to the fact it is not a manufactured product that is specifically designed to protect hardwood floors, it would be wise to consistently double check and make sure that the cardboard, is in fact, preserving the floor. In addition, to prevent the cardboard from moving or having dirt get underneath, you could fix the cardboard to the floor with another object or product that will not damage the floors. Another product you can buy to protect your hardwood floors is chair casters, which are manufactured with a soft rubber or nylon wheel that is not as likely to damage the wood. While some office chairs may come equipped with these kinds of casters already, you may have to purchase the casters themselves separately and replace the current wheels on your chair. Generally speaking, removing the original wheels and replacing them with hardwood flooring casters is fairly straightforward and easy. The casters are typically available at any hardware or furniture store, and are relatively inexpensive in comparison to buying a new chair. If you decide to purchase hardwood flooring casters for your office chair, and do not place a rug or mat underneath, be sure to clean the wheels regularly. If an object like a rock or tack gets stuck to the wheel, it could easily scratch your hardwood floors as you move in the chair. 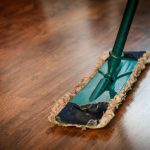 Due to the fact that hardwood floors are often one of the more valuable and key features of a home or office, it may be wise to use a couple of products to ensure that the floor is thoroughly protected. For example, you may want to consider purchasing hardwood floor casters as well as a floor mat, to double up on the protection and keep your floor safe from scratches or dents. 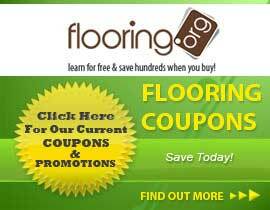 Find quality and affordable hardwood flooring now, by entering your ZIP code into the FREE box above! 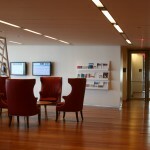 This entry was posted in Hardwood Flooring News by m.preston-strout. Bookmark the permalink.